The influence of my mother perhaps, who comes from a family of minor (and largely disgraced and impoverished) English aristocracy, but I don’t get excited about much. But I am excited about this weekend. 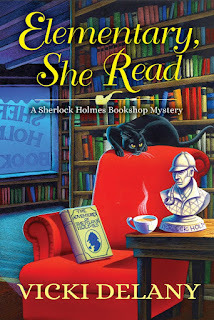 As a bookseller, I go to a lot of trade fairs and book festivals, but I have never been to Malice Domestic, a conference for cozy mystery readers and writers held each year in Bethesda, Maryland. Heck Bethesda is just down the coast from Cape Cod, but I’ve never been. Perhaps I’m excited this year because I am going to be on a panel on Sunday morning. By the time you read this, the panel is probably finished, but maybe you got to it in time. The panel is at 10:00 and is titled Sherlock Lives. We’ll be talking all things Sherlock Holmes and wondering about his enduring popularity. No one is keener than me on keeping The Great Detective popular. I do own a Sherlock Holmes themed bookshop, after all. I might not be an expert on all things Sherlock, but I know my bread and butter. If you come to my panel you might not recognize me. I’ll be in disguise as the Canadian mystery author Vicki Delany. Meaning a lot older than me. But, just to give you a clue, I’ll be in this hat. 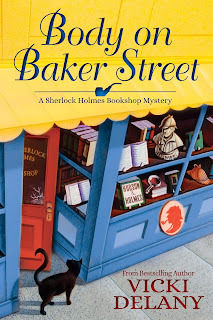 Meet Gemma Doyle, Jayne Wilson, and all the gang in the new Sherlock Holmes Bookshop series by Vicki Delany, from Crooked Lane Books. The first book in the series, Elementary She Read, was released on March 14. The first chapter of the book is available free of charge at www.vickidelany.com. 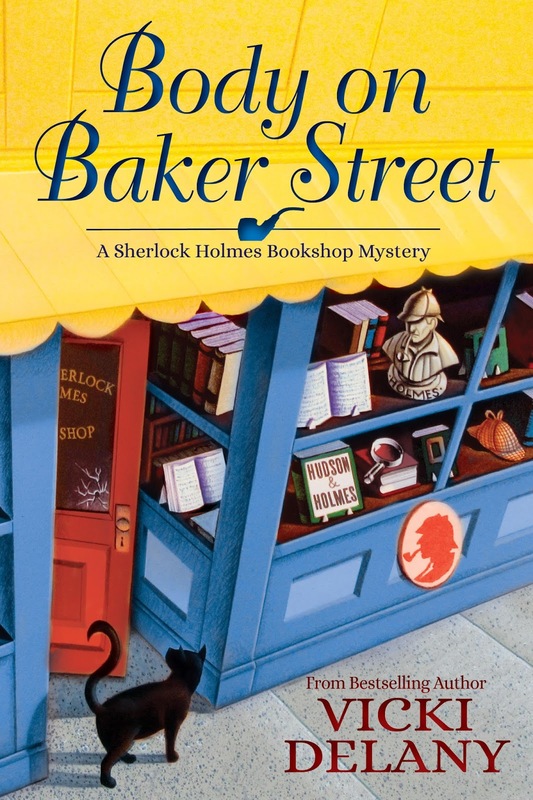 Look for Body on Baker Street in September. I wish I could have seen your panel. I enjoy learning more about Sherlock! I see all the different author/reader events advertised and I'm a bit envious. Living in Oklahoma, in a small town, doesn't give me the access I'd like. Now, if I had all the money in the world, I just might get to spend a bit a fly to some of the gatherings. Hope you had a ball! I know you had a wonderful time and I also know the panel was a terrific experience. Congratulations!